Howard Lawrence Berman (born April 15, 1941) is an American attorney and former U.S. Representative, last serving California's 28th congressional district , serving in Congress from 1983 to 2013. The district, numbered as the 26th District from 1983 to 2003, included about half of the San Fernando Valley. Berman is a Democrat. Alexander Hamilton High School is a public high school in the Castle Heights neighborhood within the Westside of Los Angeles, California, United States. It is in the Los Angeles Unified School District. It was established in 1931. Henry Arnold Waxman is an American politician who served as the U.S. Representative for California's 33rd congressional district from 1975 until 2015. Waxman is a member of the Democratic Party. His district included much of the western part of the city of Los Angeles, as well as West Hollywood, Santa Monica and Beverly Hills, and was numbered the 24th district from 1975 to 1993, the 29th district from 1993 to 2003, and the 30th district from 2003 to 2013, changing due to redistricting after the 1990, 2000 and 2010 censuses. He now serves as Chairman at Waxman Strategies, a DC-based communications and lobbying firm, working on issues like health care, environment, energy, technology and telecommunications. In addition, he serves as a Regent Lecturer for University of California, Los Angeles, and as an advisor and lecturer at the Johns Hopkins Bloomberg School of Public Health. The 1976 Democratic National Convention met at Madison Square Garden in New York City, from July 12 to July 15, 1976. The assembled United States Democratic Party delegates at the convention nominated former Governor Jimmy Carter of Georgia for President and Senator Walter Mondale of Minnesota for Vice President. John Glenn and Barbara Jordan gave the keynote addresses. Jordan's keynote address made her the first African-American woman to deliver the keynote address at a Democratic National Convention. It was listed as #5 in American Rhetoric's Top 100 Speeches of the 20th Century. The convention was the first in New York City since the 103-ballot 1924 convention. A campaign manager or campaign director is a paid or volunteer individual whose role is to coordinate a political campaign's operations such as fundraising, advertising, polling, getting out the vote, and other activities supporting the effort, directly. However, Berman concurs with many on the right on a number of issues - particularly foreign policy and trade. Berman voted in support of the invasion of Iraq in both 1991 and 2003, as well as for the FISA Amendments Act of 2008,   positions that have hurt his standing among many liberals in his district. While he generally supports free trade - for instance, voting in favor of the North American Free Trade Agreement (NAFTA)  and various trade agreements with specific countries -, he voted against the more recent Central America Free Trade Agreement (CAFTA). He opposes withdrawing U.S. support for the World Trade Organization. 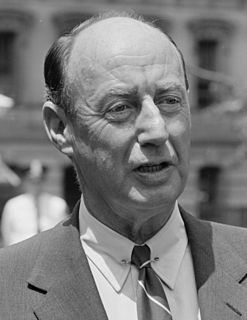 In that same year, he also voted to phase out many farm subsidy programs put into place by the administration of President Franklin Delano Roosevelt as part of the "New Deal". In 2000, Berman along with then-US Senator from Oregon, Gordon Smith, proposed an amnesty, which would have granted legal status to hundreds of thousands of undocumented farm laborers. In exchange, requirements that growers provide housing to guest workers, and pay them a minimum wage adjusted annually for inflation, would have been relaxed. In 2005, Berman was part of the bi-partisan group in Congress that fought for immigration reform efforts. That path to citizenship was also supported by President George W. Bush and Senator John McCain. Loretta L. Sanchez is an American politician who served in the United States House of Representatives from 1997 to 2017. She was first elected in 1996, when she defeated long-serving Republican congressman Bob Dornan by fewer than 1,000 votes. Sanchez represented the 46th district from 1997 to 2003, then California's 47th congressional district from 2003 to 2013, and again in the 46th district from 2013 to 2017. The district lies in central Orange County. Since 1996, Sanchez has been a member of the Democratic Party, and of the moderate/conservative House Blue Dog Coalition. Dennis Alan Cardoza is the former U.S. Representative for California's 18th congressional district from 2003 to 2012. The district took in a large swath of the Central Valley, from Stockton to Fresno. He is a member of the Democratic Party. On October 20, 2011, he announced he would retire from Congress at the end of 2012. Bradley James Sherman is an American politician serving as a Democratic member of the United States House of Representatives since 1997. He currently represents California's 30th congressional district within the San Fernando Valley, in Los Angeles County and the eastern Simi Hills in Ventura County. He previously represented the state's 24th and 27th congressional districts, located in Los Angeles County. He currently resides in Sherman Oaks. Joseph Natalio Baca Sr. is a former U.S. Representative, last serving California's 43rd congressional district as a member of the Democratic Party. The district, numbered as the 42nd from 1999 to 2003, is located in southwestern San Bernardino County and includes Fontana, Rialto, Ontario and parts of the city of San Bernardino. After redistricting, he decided to run in the new, adjacent 35th congressional district, where he faced fellow Democrat Gloria Negrete McLeod. On November 6, 2012, Baca lost his seat by a margin of 55.7% to 44.3%. He ran again in 2014 but came fifth with 11.2%. He subsequently announced that he was running for Mayor of Fontana. He lost in a landslide and subsequently announced his retirement from politics. Alan Bowlby Mollohan is an American politician who was the U.S. Representative for West Virginia's 1st congressional district from 1983 to 2011. He is a member of the Democratic Party and the Blue Dog Coalition. Sanford Dixon Bishop Jr. is the U.S. Representative for Georgia's 2nd congressional district, serving since 1993. He is a member of the Democratic Party. The district is located in the southwestern part of the state and includes Albany, Thomasville and most of Columbus and Macon. David Albert Scott is the U.S. Representative for Georgia's 13th congressional district, serving since 2003. The district includes the southern fourth of Atlanta, as well as several of its suburbs to the south and west. He is a member of the Democratic Party. Richard Norman "Doc" Hastings is an American politician and member of the Republican Party who served as the U.S. Representative for Washington's 4th congressional district from 1995 until his retirement in 2015. The district includes much of central Washington including the Tri-Cities, Yakima, and Moses Lake. The most conservative Republican in Washington's Congressional delegation, he chaired the House Committee on Ethics from 2005 to 2007 and chaired the House Committee on Natural Resources from 2011 to his leaving office. Frank Rudolph Wolf is an American Republican former legislator who represented Virginia's 10th congressional district in the United States House of Representatives from January 1981 to his retirement in January 2015. He announced in December 2013 that he would not run for re-election in 2014, and retired at the conclusion of his 17th term in office. At the time of his announcement, he was the state's longest serving congressman, serving for 34 consecutive years. Max Allen Sandlin Jr. is a former Democratic Congressman who served eight years (1997–2005) in the U.S. House of Representatives representing Texas District 1. The Almanac of American Politics is a reference work published biennially by Columbia Books & Information Services. It aims to provide a detailed look at the politics of the United States through an approach of profiling individual leaders and areas of the country. The first edition of the Almanac was published in 1972. The National Journal published biennial editions of the Almanac from 1984 through 2014. In 2015, Columbia Books & Information Services became the publisher. Timothy John Ryan is an American politician serving as the U.S. Representative for Ohio's 13th congressional district since 2003. The district, numbered as the 17th district from 2003 to 2013, takes in a large swath of northeast Ohio, from Youngstown to Akron. Ryan is a member of the Democratic Party. William Franklin Shuster is an American politician who served as the U.S. Representative for Pennsylvania's 9th congressional district from 2001 to 2019. He is a member of the Republican Party, and is a son of former Congressman Bud Shuster. 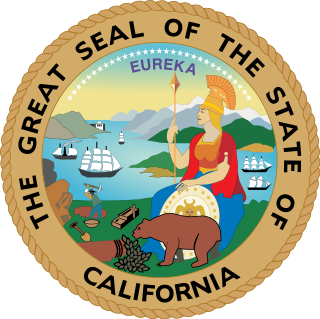 California's 21st congressional district is a congressional district in the U.S. state of California which is centered in the San Joaquin Valley, and includes areas of Fresno County, Kern County, Kings County, and Tulare County. Cities in it include Coalinga, Delano, Hanford, and outer parts of Bakersfield. Proposition 27 was an unsuccessful ballot proposition on the November 2, 2010 ballot in California, placed there by the initiative process. If approved, this measure would have repealed California Proposition 11 (2008), which authorized the creation of the California Citizens Redistricting Commission to draw the electoral boundaries for State Assembly and State Senate districts. It would also have modified the provision in California law that says that proposed congressional districts can't be subjected to a veto referendum. Gregory Weldon Meeks is an American politician serving as the U.S. Representative for New York's 5th congressional district, formerly in the 6th District since 1998. He is a member of the Democratic Party. The district formerly included, in the last congress, most of southeastern Queens, including Jamaica, Laurelton, Rosedale, Cambria Heights, Saint Albans, Springfield Gardens, The Rockaways, and the John F. Kennedy International Airport. His district is made up largely of working, middle, and upper middle-class African-American and West Indian American communities, but also includes a small part of Ozone Park and part of Howard Beach known as Old Howard Beach, both of which are predominantly middle-class Italian-American communities. In addition, he represented much of Kew Gardens and northern Richmond Hill, as well as the largely Irish American western portion of the Rockaway Peninsula. Lawrence Augustine Phillips, known as Larry Phillips, is an attorney from Sherman, Texas, who has been serving as judge of the Texas District Court for Grayson, Fannin, and Delta counties since 2018. He previously served as a Republican member of the Texas House of Representatives from District 62. Randall Keith Weber is an American businessman and a politician. He is a member of the United States House of Representatives. He has represented Texas' 14th congressional district since 2013, succeeding Ron Paul. He defeated former Congressman Nick Lampson on November 6, 2012, by a 53% to 45% margin. He was a member of the Texas House of Representatives, representing the 29th district. He is a member of the Republican Party. Mark Allan Takano is an American politician who has been the United States Representative for California's 41st congressional district since 2013. A member of the Democratic Party, Takano has served on the Riverside Community College Board of Trustees since 1990. Upon taking office, Takano became the first openly gay person of Asian descent in Congress. ↑ National Jewish Democratic Council, "Jewish Members of Congress" Archived 2010-11-05 at the Wayback Machine . Retrieved 2010-09-24. ↑ Zach Silberman (June 25, 2012). "Calif. Rep. Howard Berman raps coalition behind anti-Israel billboards". JTA. ↑ "Howard Lawrence Berman profile". Freepages.genealogy.rootsweb.ancestry.com. Retrieved 2012-09-10. ↑ Reich, Kenneth (March 3, 2001). "Obituaries – Blanche Bettington; Inspired Generations in L.A. Schools". The Los Angeles Times . Retrieved 2010-12-04. ↑ Barone, Michael; Grant Ujifusa (1997). The Almanac of American Politics (1998 ed.). Washington, D.C.: National Journal, Inc. pp. 206–08. ISBN 0-89234-081-9. ↑ Barone, Michael; Richard E. Cohen. The Almanac of American Politics (2008 ed.). Washington, D.C.: National Journal, Inc. pp. 233–37. ISBN 978-0-89234-117-7. ↑ "Howard L Berman", Carroll's Federal Directory, Carroll Publishing, 2008. Reproduced in Biography Resource Center. Farmington Hills, Mich.: Gale, 2008. http://galenet.galegroup.com/servlet/BioRC Document Number: K2415002198. Fee, via Fairfax County Public Library. ↑ Barone, Michael; Grant Ujifusa; Douglas Matthews. The Almanac of American Politics (2004 ed.). Washington, D.C.: National Journal, Inc. pp. 236–39. ISBN 0-89234-106-8. ↑ "Howard Lawrence Berman." Marquis Who's Who TM. Marquis Who's Who, 2008. Reproduced in Biography Resource Center. Farmington Hills, Mich.: Gale, 2008. http://galenet.galegroup.com/servlet/BioRC Document Number: K2017593147. Fee. 1 2 3 4 Barone, Michael; Grant Ujifusa (1997). The Almanac of American Politics (1998 ed.). Washington, D.C.: National Journal, Inc. pp. 206–208. ISBN 0-89234-081-9. 1 2 3 4 5 "Howard L Berman." Carroll's Federal Directory. Carroll Publishing, 2008. Reproduced in Biography Resource Center. Farmington Hills, Mich.: Gale, 2008. http://galenet.galegroup.com/servlet/BioRC Document Number: K2415002198. Fee. ↑ Meyerson, Harold (1994-12-04). "The Liberal Lion in Winter. The Democrats' Legislative Genius, Los Angeles Congressman Henry A. Waxman is Back on Defense". Los Angeles Times Magazine . Archived from the original on July 31, 2008. Retrieved 2008-09-20. ↑ Vassar, Alex; Shane Meyers. "11-07-1992 Election". Join California. One Voter Project. Retrieved 2008-09-19. ↑ "CA District 26 – D Primary Race – Jun 08, 1982". Our Campaigns. Retrieved 2012-09-10. ↑ "CA District 26 Race – Nov 02, 1982". Our Campaigns. Retrieved 2012-09-10. ↑ "Candidate – Howard L. Berman". Our Campaigns. Retrieved 2012-09-10. ↑ "Editorial: Prop. 27 would strangle redistricting reform in the cradle". Orange County Register . September 3, 2010. ↑ Finnegan, Michael (September 8, 2001). "Neighboring L.A. Democrats Trade Barbs Over Redistricting". Los Angeles Times . 1 2 Barone, Michael; Grant Ujifusa; Douglas Matthews (c. 2003). The Almanac of American Politics (2004 ed.). Washington, D.C.: National Journal, Inc. pp. 236–239. ISBN 0-89234-106-8. 1 2 3 4 5 6 Barone, Michael; Richard E. Cohen (c. 2007). The Almanac of American Politics (2008 ed.). Washington, D.C.: National Journal, Inc. pp. 233–237. ISBN 978-0-89234-117-7. ↑ "Related recipients". USA Today . 2007-06-18. ↑ "Family Affair" (PDF). Citizens for Ethics. 2007-06-19. Archived from the original (PDF) on 2009-03-25. ↑ Alice Walton (June 4, 2012). "Berman vs. Sherman: 2 longtime Democratic leaders face off in the the Valley". Scpr.org. Retrieved 2017-02-27. ↑ "Lines Redrawn, Longtime Allies Fight for a Seat". The New York Times. ↑ "Clone Wars". The Atlantic. ↑ "California Open Primary Leads to Democratic Slugfest". IVN. Retrieved 23 July 2012. ↑ February 26, 2017 (2011-11-21). "Berman Beats Sherman in Endorsement Race - News –". Forward.com. Retrieved 2017-02-27. ↑ Granfield, Patrick (2011-11-18). "22 Dems back Berman over Sherman". Politico. Retrieved 2017-02-27. ↑ "Rep. Sherman Tops Rep. Berman in Calif. Dem Primary". ABC News. ↑ Slosson, Mary (6 June 2012). "Democrats face Democrats in new California election system". Reuters. Retrieved 12 June 2012. ↑ "CA - District 30 Race - Nov 06, 2012". Our Campaigns. Retrieved 2017-02-27. ↑ Michelle Quinn (November 7, 2012). "Brad Sherman defeats Howard Berman after bitter fight". Politico. Retrieved 2012-11-07. 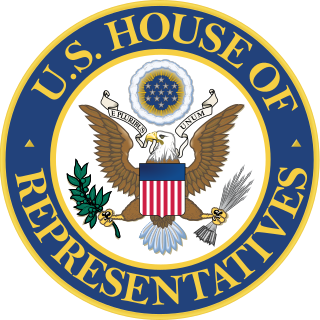 1 2 "Rep. Howard Berman (D)". The National Journal Almanac. Retrieved 21 June 2012. ↑ Sutton, Linda (2007-05-17). "Peace Activists Target Cong. Howard Berman". Truth Now Sunday. Los Angeles Independent Media Center. Retrieved 2008-09-20. About 40 peace activists from multiple groups in the San Fernando Valley gathered in front of Congressman Howard Berman's home in Valley Village on Sat, May 26, 2007. Berman did NOT VOTE on the supplemental Iraq appropriations bill HR2206 that funds the war without timelines for withdrawal. Groups represented included Neighborhood Peace and Justice, Progressive Democrats of America, Progressive Caucus CDP, So. Cal. Grassroots, Valley Democrats United. ↑ "No House Members Broke Rules in Ex-Rep. Foley's Congressional Page Scandal". Fox News. 2011-10-21. Archived from the original on 2011-02-09. Retrieved 2011-08-20. ↑ Daunt, Tina (18 May 2012). "Rep. Howard Berman Seeks Tax Credit Extensions for U.S. Film Production". The Hollywood Reporter. Retrieved 12 June 2012. 1 2 Guttman, Nathan (2008-04-24). "New Foreign Affairs Committee Chairman Draws Praise From All Sides". The Forward . Retrieved 2008-09-18. ↑ "Howard L. Berman: Campaign Finance/Money summary". Open Secrets. ↑ "Proposed US ACTA multi-lateral intellectual property trade agreement (2007)". WikiLeaks. 2008-05-22. ↑ "Hearing on: H.R. 6845, the "Fair Copyright in Research Works Act". United States House of Representatives Committee on the Judiciary. 2008-09-11. Archived from the original on 2013-04-27. ↑ "Backlash against open access". Ars Technica. 2008-09-16. ↑ "The Iraq Vote: Howard Berman's Most Momentous Achievement Is One He's Come to Regret". LA Weekly. ↑ Rep. Howard Berman [D-CA28] (2011-07-19). "Antiboycott Act (H.R. 2589)". GovTrack.us. Retrieved 2012-09-10. ↑ Tapper, Jake (June 11, 2003). "How Ashcroft beats a full House". Salon. Retrieved 2012-09-10. ↑ Bacon, David (November–December 2001). "Braceros or Amnesty". Dollars & Sense. Retrieved 2012-09-10. ↑ Le Templar (December 9, 2005). "Guest worker plan dropped from House immigration bill". East Valley Tribune. Retrieved 2012-09-10. ↑ Abid, Aslam (2008-04-07). "FINANCE: U.S. Lawmakers Invested in Iraq, Afghanistan Wars". Inter Press Service International Association (Rome, Italy). Archived from the original on 2008-09-11. Retrieved 2008-09-18. Other panel chiefs who invested in defence firms include Sen. Joseph Lieberman, the Connecticut Independent who presides over the Senate Homeland Security and Governmental Affairs Committee, and Rep. Howard Berman, the California Democrat who heads the House Foreign Affairs Committee. In all, 151 current members of Congress – more than one-fourth of the total – have invested between 78.7 million dollars and 195.5 million dollars in companies that received defense contracts of at least $5.0 million, according to CRP. ↑ Mayer, Lindsay Renick (2008-04-03). "Strategic Assets". Capital Eye. Center for Responsive Politics. Retrieved 2008-09-18. ... lawmakers are personally invested in companies reaping billions of dollars from defense contracts. ↑ Potter, Matthew (November 13, 2008). "Top Defense Contractors by Revenue". CBS News . Retrieved 2010-12-04. ↑ "Top 20 defense contractors". Defense Systems News. May 28, 2010. Retrieved 2010-12-04. ↑ Cillizza, Chris (2006-04-21). "House: Mollohan Steps Down From Ethics Post". The Washington Post. Retrieved 2008-09-19. Congressman Howard Berman, who previously served as the senior member of the Ethics Committee, has agreed to accept my appointment to return temporarily as ranking member. ↑ Robert, Brodsky (2006-06-14). "Ethics Committee Members, Staff Among the Well-Traveled. House legislators mulling rules and their aides took about $1 million in trips". Center for Public Integrity. ↑ "Sponsor Profile – Aspen Institute". Center for Public Integrity. 2006-06-05. Retrieved 2009-09-20. ↑ "Board of Directors". ndi.org. Retrieved February 26, 2017. ↑ "Board of Advisors - The Washington Institute for Near East Policy" . Retrieved 2015-12-24. ↑ "Leadership". Counter Extremism Project . Retrieved February 26, 2017. 1 2 "Howard Lawrence Berman." Marquis Who's Who, 2008. Reproduced in Biography Resource Center. Farmington Hills, Mich.: Gale, 2008. http://galenet.galegroup.com/servlet/BioRC Document Number: K2017593147. Fee. ↑ "2000 Farmworker Justice Award Presented to Rep. Howard Berman" (PDF). Farmworker Justice News, Summer 2000. Farmworker Justice Fund, Inc. 2000-07-18. p. 4. Archived from the original (PDF) on September 29, 2006. Retrieved 2008-01-16. The Board of Directors of the Farmworker Justice Fund, Inc. presented the 2000 Farmworker Justice Award to Rep. Howard Berman of California. The presentation was made by Dolores Huerta, Secretary-Treasurer of the United Farm Workers, a long time friend of Howard Berman. The award reception was held at the Mott House in Washington, D.C. during the evening of May 24, 2000. ↑ "Farmworker Justice Award 2000". Farmworker Justice Fund. Archived from the original on June 8, 2003.